Home / Dissent NewsWire / The 2020 Republican Convention Will Be in Charlotte. Local Activists Are Preparing Now to Protect the Community. 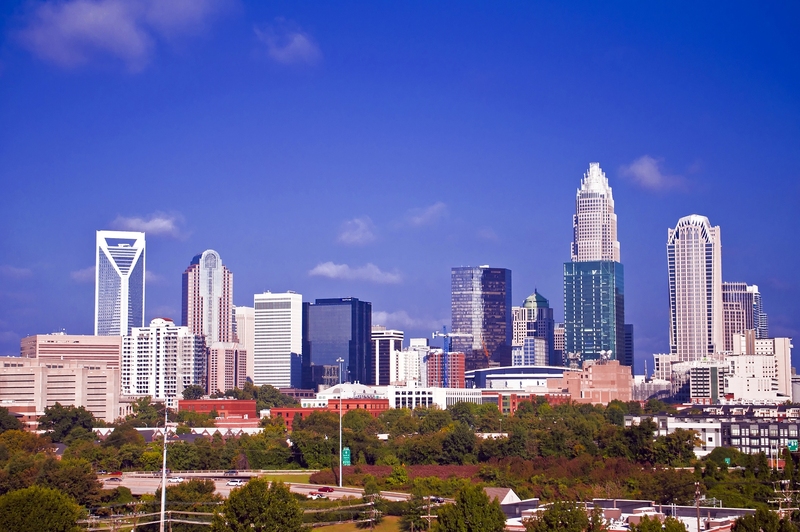 Charlotte will host the 2020 Republican National Convention, and SAFE Coalition NC is already looking ahead to ensure that everyone’s rights and safety are protected. If you can remember back six years ago to the 2012 Democratic convention in Charlotte, you know that the City Council went a bit overboard with its list of contraband items (backpacks and water guns), remote “free speech zones,” and “extraordinary event” boundaries. SAFE Coalition NC has identified 5 areas in which the city needs to be proactive and provide protections for the community, convention attendees and potential protesters. The community has voiced concern over protecting the city from spending over the $50 million security grant. Others in the community are concerned that CMPD will purchase militarized and surveillance equipment left over from the convention and use them to violate the civil liberties of Charlotte residents. Community activists have also stated that they are concerned with mass arrest and violations of the constitutional rights to free speech and the freedom to assemble. In 2015, SAFE Coalition NC passed the Civil Liberties Resolution. It’s time to build on those protections by passing the Civil Liberties Protection Act of 2018. The Act is sensible and fair, simply requiring police to keep the City Council and the public informed about equipment purchases to ensure oversight and transparency. The Act also provides crucial safeguards for people exercising their First Amendment rights. We need your help in demanding Charlotte City Council pass this Act in a timely manner. We are asking that the Charlotte Community Safety Committee schedule discussion of the Civil Liberties Protection Act for its next meeting in September. A. Crowd control technology Purchases: Any purchase by CMPD or potentially gained through federal grant of equipment for crowd control purposes (including but not limited to tasers, tear gas, pepper spray, and Long-Range Audio Devices (LRADs)) shall require 30 days prior notice to the public, a meaningful opportunity to comment, and the affirmative approval of the City Council. B. Surveillance Equipment Purchases. Any purchase by CMPD or potentially gained through federal grant of electronic technologies to enable monitoring or information collection (including but not limited to electronic body scanners, drone aircraft, driver’s license plate scanners, and closed-circuit television cameras) shall require 30 days prior notice to the public, a meaningful opportunity to comment, and the affirmative approval of the City Council. C. Militarized Equipment Purchases. Any purchase by CMPD or potentially gained through federal grant of military grade equipment (including but not limited to automatic assault rifles, body armor, mine resistant armored vehicles, grenades or similar explosives and grenade launchers) shall require prior 30 days’ notice to the public, a meaningful opportunity to comment, and the affirmative approval of the City Council. D. Mass arrests: Arrests of individuals engage in First Amendment protected activity must rely on articulable facts supporting probable cause to believe that that every individual subjected to arrest committed a criminal offense, beyond their presence in a particular location at a particular time. Arrests to pre-empt criminal activity are not authorized. Any individual arrested for failure to obey a time, place, or manner restriction must be allowed an opportunity to depart from the area. E. Condition of confinement during mass arrests: Individuals subjected to arrest for participation in First Amendment protected activity shall not be subjected to shackling absent a specific threat of violence, shall be allowed access to counsel within six hours, and shall be given a copy of any incident report relating to their arrest to use for exculpatory purposes.